I had a realization that Treasured Portraits has something for everyone. Treasured Portraits has been photographing local preschools for 5 years, offering a view first system online, as well as printed proof sheets. Portraits start at a very low price point that is very competitive with other school photography prices. Preschool Photography, Something for everyone. Although you might not think of Treasured Portraits as a sports/dance photography studio, we have been photographing dance troops and sports teams for over 20 years! The dancers, athletes, and their families who use our photography receive great portraits, & they have access to a wide variety of products that are not readily available such as: Canvas bags, Mugs, Team collages, Bag tags, key chains, water bottles, magnets & much more. 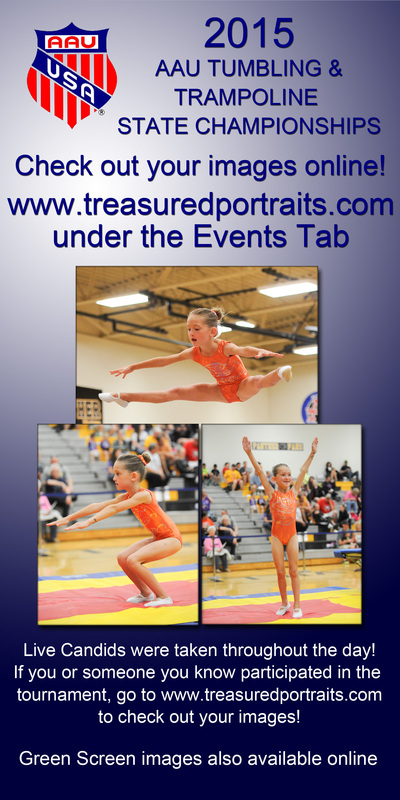 Prices for sports & dance portraits are also very competitive with other sport/dance photographers. Sports & Dance Portraits, Something for Everyone. 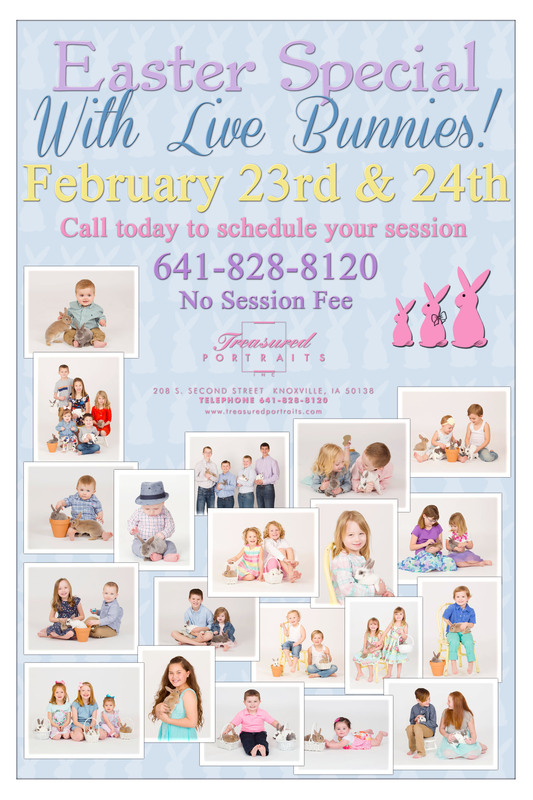 Our yearly tradition for over 20 years, are the live baby bunny portraits. It is the cutest, most fun time of the year to bring in your little one. Seeing the joy on their face when they get to see, touch, and sit near a baby bunny is priceless. We also have a children’s Christmas special that we have extended to small families as of this last year. Both of these specials feature no session fee and the packages start at just $29. These specials use the view first online ordering option as well. This is great way to let parents and grandparents control their portraits & ordering. Seasonal Portraits, Something for everyone. Giggles and Grins portraits sessions are a newer product line premiering in 2012. The idea behind the Giggles & Grins portrait sessions, are to simplify sessions and give other options for portraits and portrait pricing. These sessions are for children 12 and under, 1 outfit, 1 background & 1 theme. 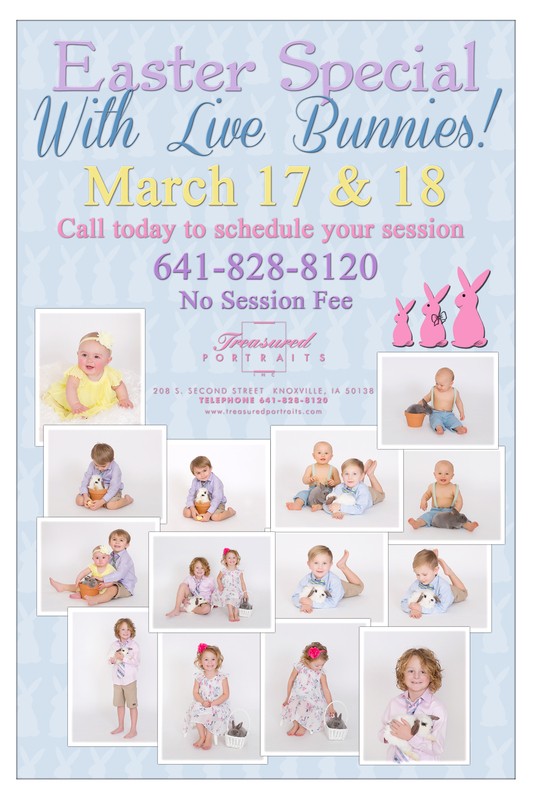 Kirsten or Josie will photograph your child in the camera room using a beautiful studio background, and it only takes about 20 minutes! The best of your images are placed into our online ordering program for you to view in the comfort of your own home. Sharing the link with your family and friends is a great way to let others purchase their own portraits. You are able to place your order online, or in person with us. The session fee for a Giggles & Grins portrait session is only $35 and the packages start at $65. Giggles & Grins, Something for everyone. Local business professionals have been using our services for their professional head and shoulders business portraits for years. They are continually thrilled with the result of their portraits, and are satisfied with the price! We also photograph commercial buildings & interiors for businesses and their websites. Commercial Work, Something for everyone. 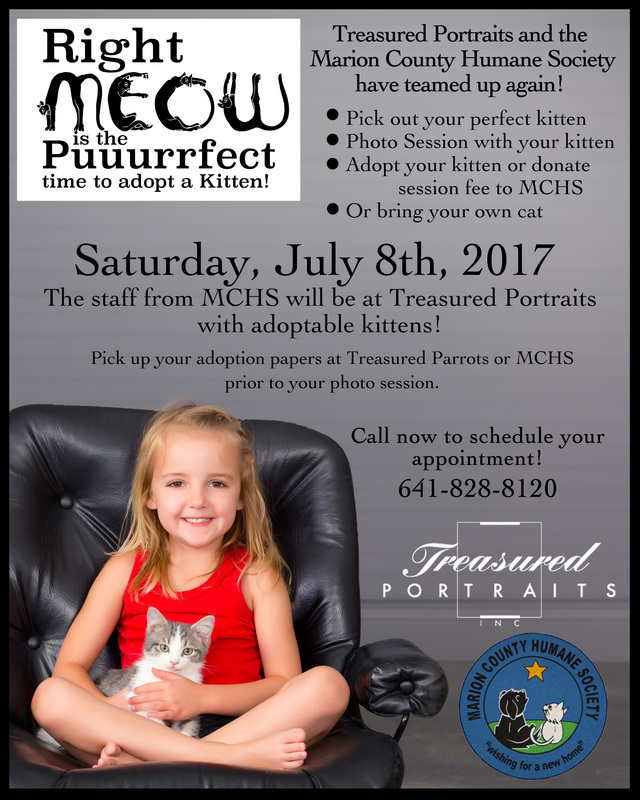 Treasured Portraits has been providing custom portraits since 1993 for children, high school seniors, families and generations. Included with your custom session is a consultation to be held in the studio or over the phone. During your consultation, we will get to know you and your family and discuss your ideas you have, give you ideas, and customize your portraits to fit your needs. A custom session includes multiple clothing changes a variety of poses & ideas. Viewing of the portraits is held at Treasured Portraits in our comfortable projection room. All final portraits are retouched to the highest quality of perfection. You will be thrilled with your results! Custom Portraits, Something for everyone.